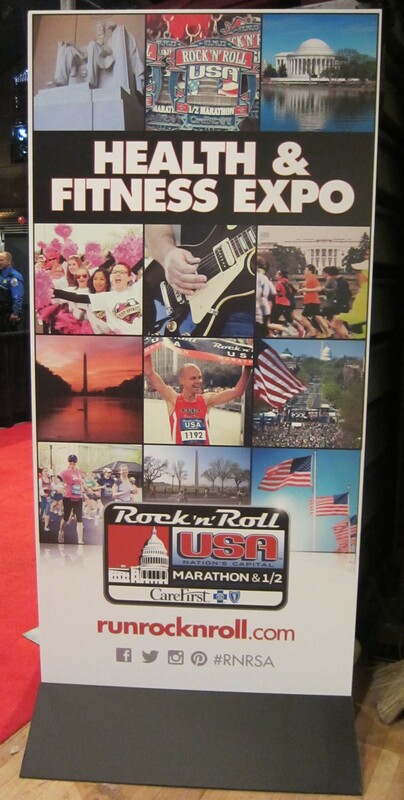 Preston and I kicked off our second Rock ‘n’ Roll race with the expo, which was held at the DC Armory. In order to avoid the out of town crowd at the expo on Friday, we opted to go Thursday evening after work. We had two options for getting to the expo: driving or taking the Metro. We opted to drive, and had to park in one of the adjacent lots at RFK Stadium, which is also where the finish line for Saturday’s race was. Once we arrived, we quickly went through security, and made our way into the expo. Our first stop at the expo was on the basement level, where we picked up our bibs. There weren’t any lines, which can either be credited to the expo being well organized and there being enough volunteers, or the fact that we were there on the less crowded day. Once we had our bibs, we made our way back upstairs where we received our shirts and swag bags. Its always feels like race weekend has officially arrived once you have your bib! As we exited the gear area we entered the official merchandise area. We spent a couple of minutes browsing, but weren’t very impressed with the selection of merchandise. 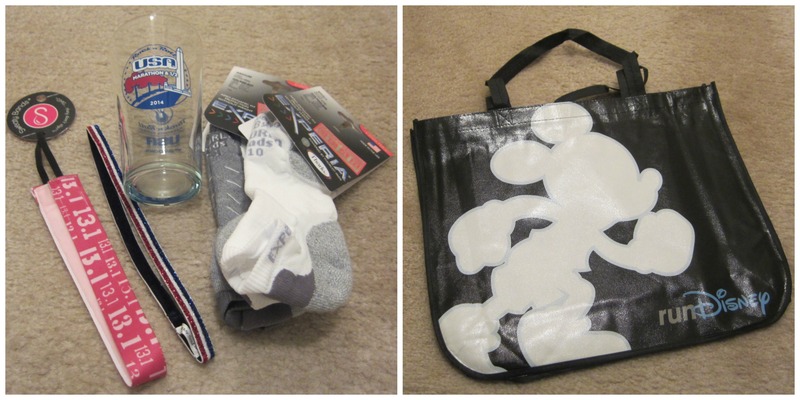 Since we were focused on trying to limit how much we spent at this expo (we spent quite a bit of money on official merchandise at the Disney World Marathon Weekend expo back in January), we didn’t agonize too much about not seeing anything that we wanted. The one piece of official merchandise we did get was a race specific pint glass to add to Preston’s collection. After we exited the Rock ‘n’ Roll area of the expo, we spent about an hour walking around. The first booth we visited was Sports Authority, where we snagged a couple of pairs of Thorlos Experia socks at a great deal. We also visited several other booths including PowerBar, Nunn, and Sparkly Soul. I selected a new Sweaty Bands headband to commemorate my race, and we paid a visit to the runDisney booth. No, none of the new runDisney race medals were out yet, but it was still fun to see all the medals out on display! One of our last stops at the expo was at the Rock ‘n’ Roll booth, where we both signed up to win a free trip to Dublin and explored some of the upcoming races on their computer. 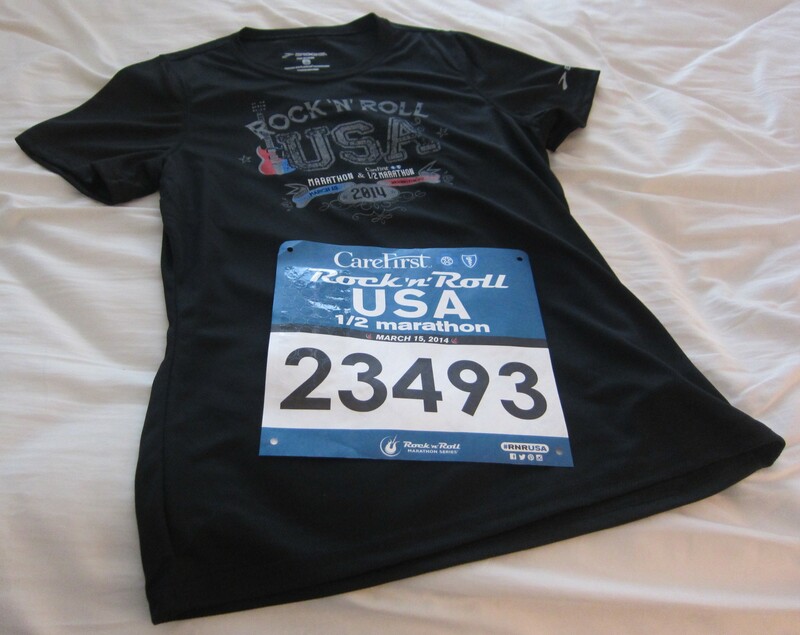 There are several other Rock ‘n’ Roll races that we’d like to eventually run, including Nashville, Savannah, Las Vegas, and New Orleans. We’re very highly considering a return trip to Rock ‘n’ Roll Virginia Beach this year, and if we do run it we’ll be eligible to receive a second medal to commemorate completing two Rock ‘n’ Roll races in a single year. After about an hour at the expo we decided to headed home. It was quite odd to be at a major race expo but be headed home instead of back to a hotel or off to do a tourist activity. This is just something I’ll have to get used to as I run more DC races. Overall, the expo was very well organized. There were more than enough volunteers (some of them actually looked bored), and despite the fact that we went after work the expo floor wasn’t crowded at all. One of my few complaints about the race weekend had to do with the lack of direction for the parking. Other than a single DC police officer, nobody was out directing traffic. I only knew which numbered lot to park in since I had looked it up on the Rock ‘n’ Roll website prior to heading to the expo. After we parked, there was no direction as to how to walk from the lot to the armory, and we wound up having to walk in the middle of Independence Avenue in order to get across the street, and in order to get to the entrance on East Capitol Street we had to walk around the building. We realized afterwards that there was an underground walkway, and had somebody been directing traffic this part of our expo experience would have gone a bit more smoothly. Other than the parking issue, we had another great Rock ‘n’ Roll expo experience. On Friday we both went to work, and then spent a relaxing evening at home before the start of the race on Saturday morning. QOTD: Does it ever feel different to you to attend an expo in your hometown instead of one out of town? 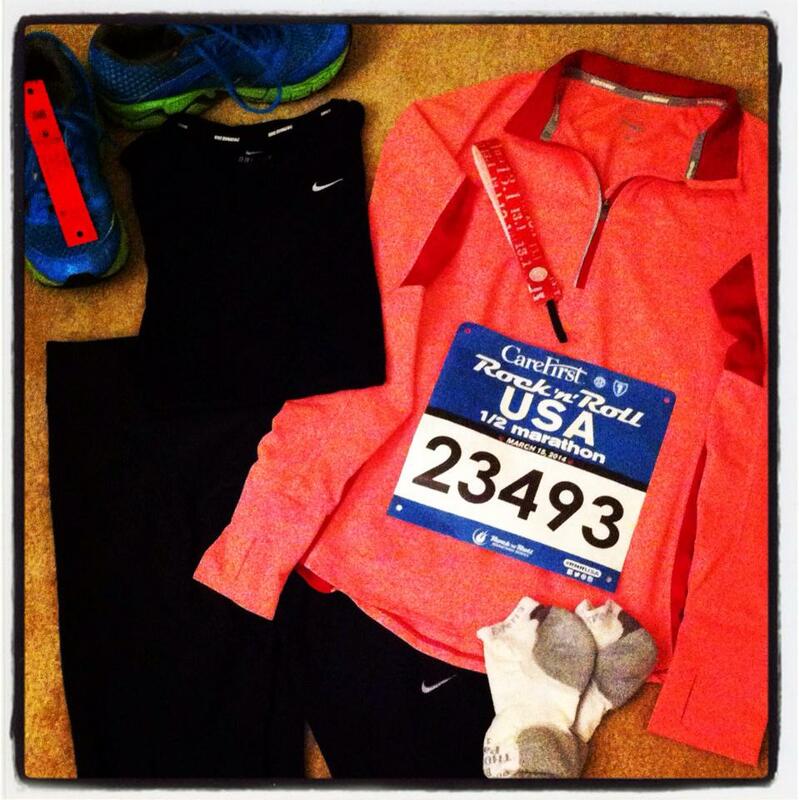 This entry was posted in Races and tagged Experia socks, expo, Nunn, PowerBar, Rock 'n' Roll Marathon series, Rock 'n' Roll USA, runDisney, Sparkly Soul, Sweaty Bands. Bookmark the permalink. I had no idea that you get an additional medal for completing 2 RnR races in the same year! We’ll be doing VA Beach and Vegas this year! That’s exciting news, thank you for letting us know! Cute sweaty band you got! Can’t wait to read how the race goes! I can’t wait to read about your Vegas race experience! Its one of the many races on our bucket list. You MUST run Rock ‘n’ Roll New Orleans! That’s the closest Rock ‘n’ Roll race to me and it is awesome! So much fun! Glad you had a fun expo visit! I love the race shirt!!! I LOVE the heavy medal!!!! LOVE!!! So cool!! Kristin, if you think the Encore (two races) medal is awesome, you should see some of the others. 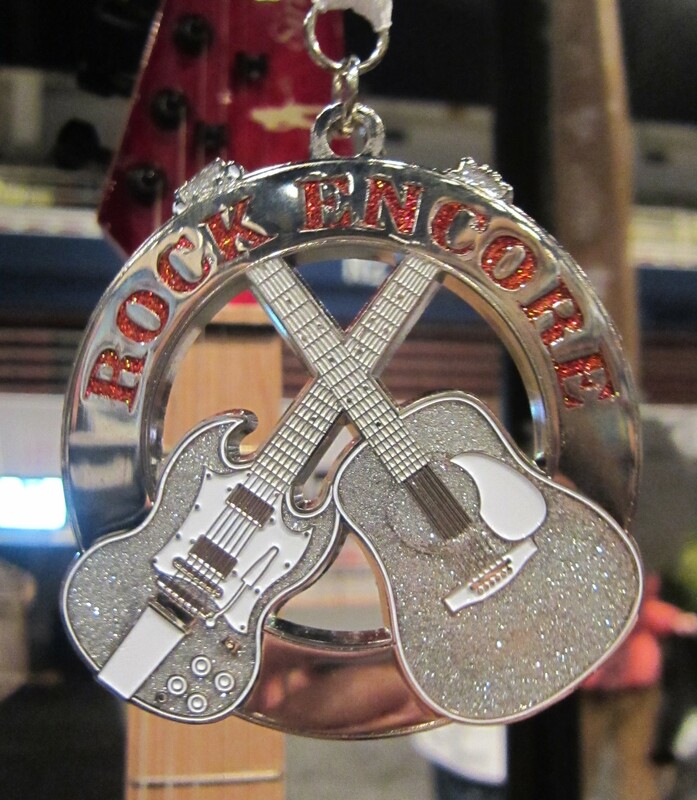 Be sure to go to the Rock ‘n’ Roll website and check them out…your jaw might drop! I will definitely check them out!! 😉 Thanks!!! I did a 5k at RFK stadium last year and had a similar experience with the parking 😦 I’m not sure why it’s like that. I love the photo back drops! 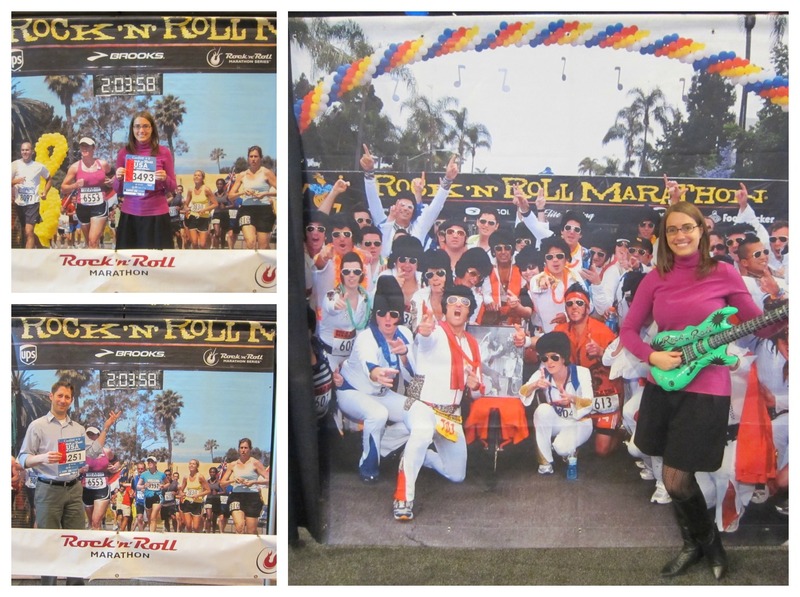 Seems like RnR expos are a lot like the runDisney ones. 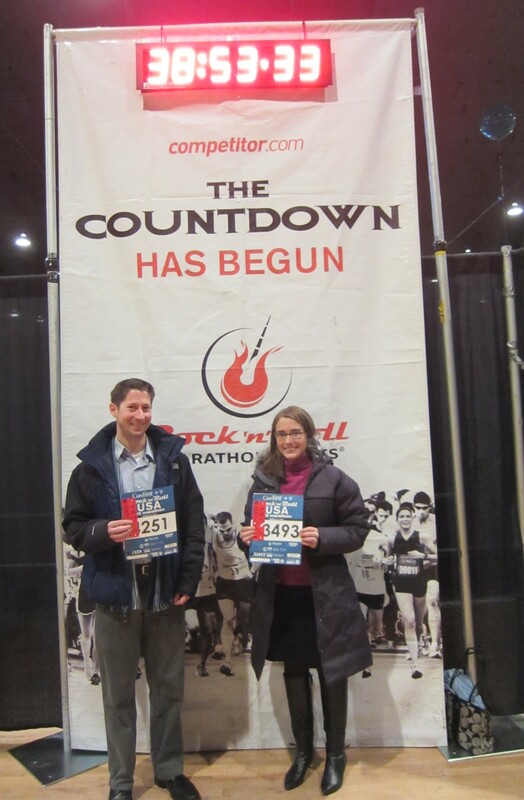 I missed the RnR VB expo last year…in fact, I only arrived with 10 minutes to spare to pick up my bib! Oops! There’s so many great races over Veteran’s Day weekend, its definitely hard to choose. We wound up not signing up for Wine and Dine this year, but haven’t decided on which race, if any, we’ll run that weekend.